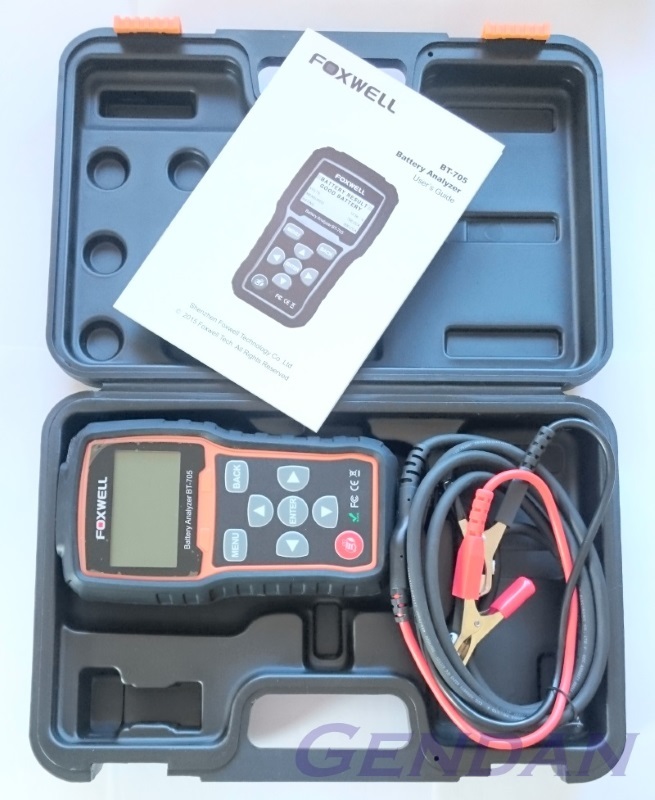 The Foxwell BT705 is an advanced, but still simple to use car battery analyser, which gives a comprehensive assessment of the health and charge level of your 12 or 24 Volt car battery. The tool will immediately give a voltage reading on connection to the battery. Then by simply answering a few on-screen questions (such as whether the battery is in the vehicle, the type of battery, the battery standard and the rated CCA), it will give a more comprehensive assessment of the battery at idle. You can then choose to proceed with additional tests while starting the engine and running the engine with high electrical load (heaters and high-beams on) to evaluate the high-load and charging characteristics of the battery. The product you are currently viewing also includes a wireless rechargeable Bluetooth printer, allowing you to print a battery health report direct from the tool, even in the field - ideal to offer to customers if using the BT705 commercially. Quick and accurate results in just 3 seconds!